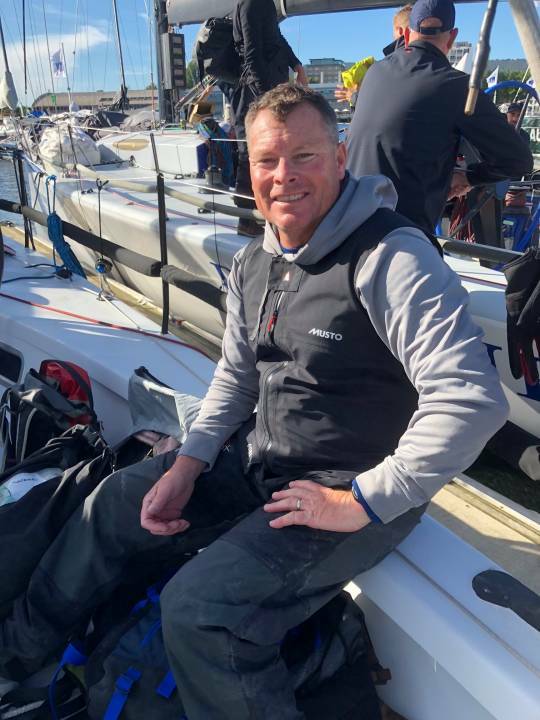 While many people spend the holidays with family and friends, Scott "Gus" Ward checked a bucket-list item by racing in one of the world's most prestigious yacht races. 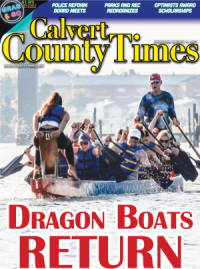 Ward's crew joined 85 other boats for the 628-nautical mile race through one of the largest bodies of water in the world, finishing in three days, 16 hours and 52 minutes. The team placed 16th overall and seventh in their division. "The race course crosses through the Bass Strait and Southern Ocean, which are notorious for rough water and storms that can develop very quickly and have a constant big-water, big-wind feel," Ward said. "It's humbling to be able to say I've raced there." "The Naval Academy VOST program is fortunate to have many top-level Grand Prix boats donated to them; I've been given the tremendous opportunity to coach and mentor the midshipmen teams for the last few years aboard high performance yachts such as the TP52s along with Ker 50, Farr 40s and a newly donated RP66, [a well-known 68-foot Transatlantic and Fastnet Race winner], he said. "These boats serve to not only enable a winning program, but teach future naval officers about leadership, decision making and determination in a focused and incredibly challenging environment. Supporting this outstanding program also helped build my knowledge and time aboard these rare and amazing machines." For the Sydney Hobart race, Ward was responsible for boat and crew on rotating watches of the 15-crewmember boat, along with two of its co-owners. He said, "while you are watch captain, you run the boat, and it is your call for sail selection, navigation and to ensure the boat is moving through the water as fast as possible in the right direction for that period of time." 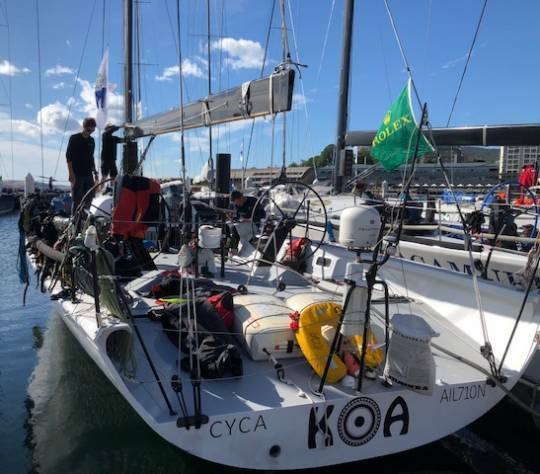 "It was a real challenge because the crew was full of absolute rock stars and my watch included past and future Americas Cup, Volvo Ocean Race and Sydney Hobart veterans (one who had competed 19 times). We even had an Olympic medalist on our boat; it was crazy how much talent we had." "This race was very much a nationality thing," he said. "Historically not many Americans are given the opportunity to crew on an all-Aussie team. There were other international and American teams entered, but to be selected and asked to come onto an Aussie boat as a Yank was a great honor to me - the pressure was on to not mess it up!" "Of the major ocean races in the world, three stand out at the top for offshore competitors: Sydney Hobart, Newport Bermuda, and the Fastnet race," Ward explained. "Fastnet is off the Southern tip of England, around the Fastnet rock and back. I've been lucky to have raced successfully to Bermuda multiple times with my boat and team, so I'd love to be able to say I've done the trifecta."